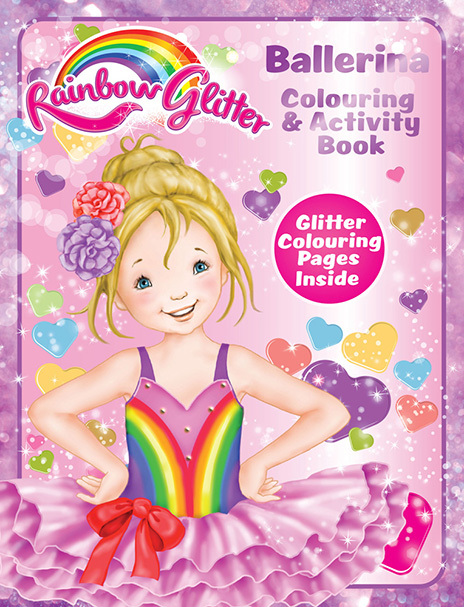 Colour and activity has never been such fun, or so glittery! 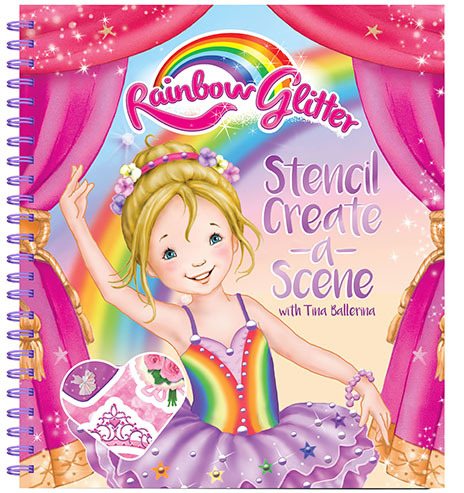 Follow Tina Ballerina and Fairy Floss in their daily lives, with stickers, colouring pages, paints, stencils and journals – all with multi-coloured glitter throughout. Every little girl will fall in love with Rainbow Glitter. 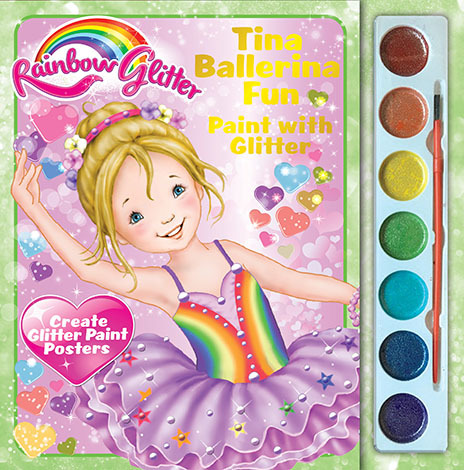 Children will love everything in this Tina Ballerina Rainbow Glitter Storage Box set packed full of everything you need to make beautiful rainbow glitter art. 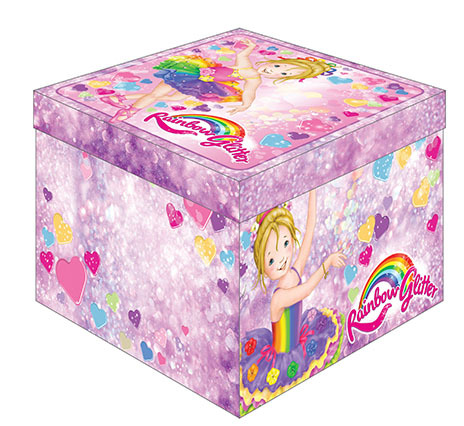 Box includes sticker book, sticker sheet, glitter glue, stencil sheet and a paint palette. 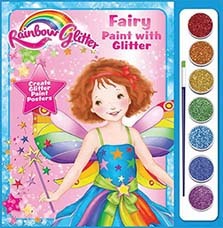 Use the colours of the rainbow to create glitter paint posters. 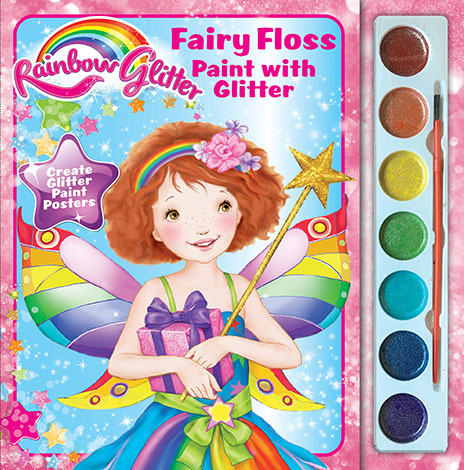 Children will love meeting Fairy Floss with her friend Sweetheart, and bring them to life in glittery colour. Each title has 8 different pictures to paint, together with 7 glitter paint colours and a brush.Pages are perforated so once complete you can remove from the book and place on your wall. 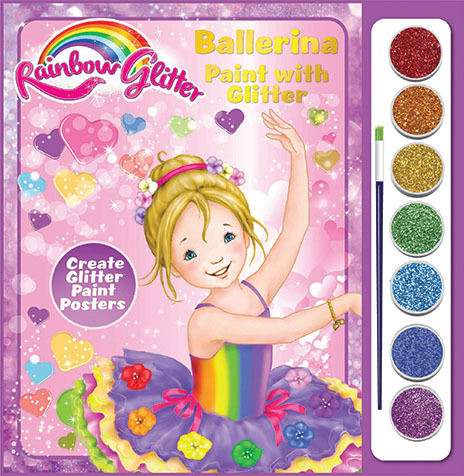 Use the colours of the rainbow to create glitter paint posters. Children will love meeting Tina Ballerina and her little dog, Fluffy. Each title has 8 different pictures to paint, together with 7 glitter paint colours and a brush. Pages are perforated so once complete you can remove from the book and place on your wall. The only thing more fun than stickers, are glitter stickers! 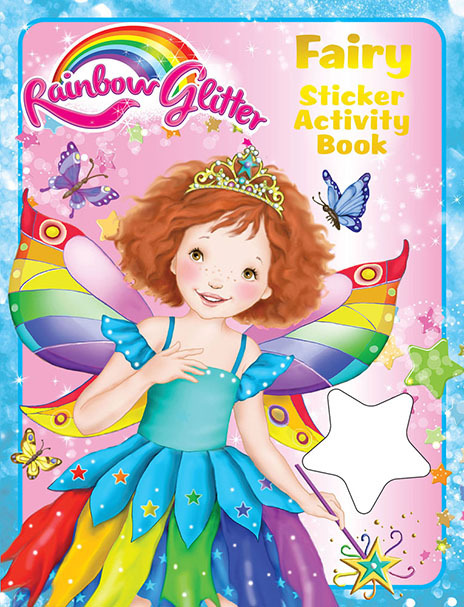 Use your stickers to complete the activities with Fairy Floss, and her friends and create your very own sticker scenes! In addition to the complete-a-scene sticker page panorama in each book, there are a further 14 pages of activities, each with glitter stickers. The only thing more fun than stickers, are glitter stickers! 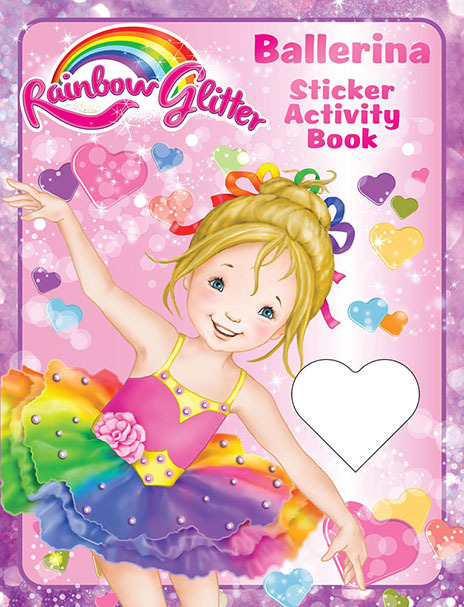 Use your stickers to complete the activities with Tina Ballerina and her friends and create your very own sticker scenes! In addition to the complete-a-scene sticker page panorama in each book, there are a further 14 pages of activities, each with glitter stickers. A new way to colour! 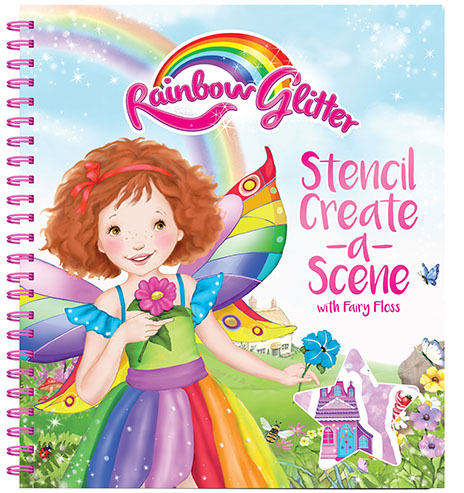 Gone is boring old black line art, and here are sparkly glitter pages to colour in! Once you glitter colour, you’ll never go back! 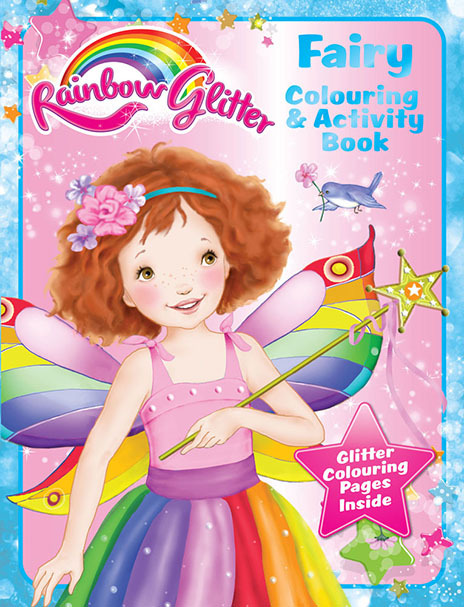 Each book has 24 pages of colouring and activity, with seven pages in each book featuring glitter colouring. Pages can be cut out and kept as beautiful keepsake art. Follow the stories of Fairy Floss and learn all about where they live and what they do, and then bring the images to life with your glitter stencil and stickers! 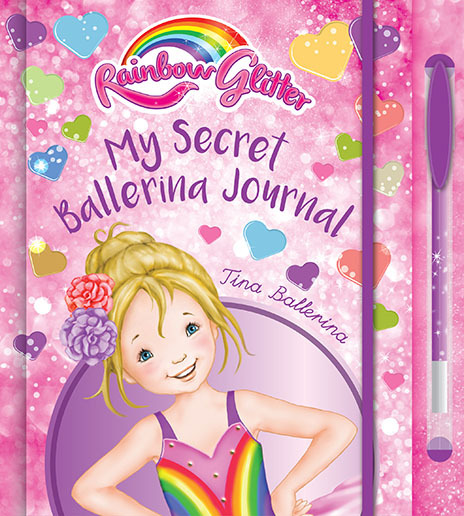 Follow the stories of Tina Ballerina and learn all about where they live and what they do, and then bring the images to life with your glitter stencil and stickers! 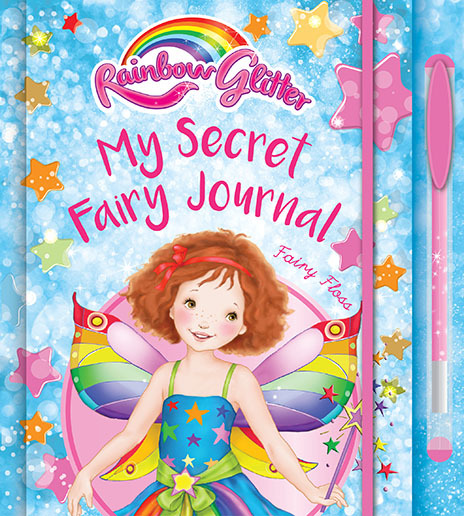 This is your secret journal. Use it to record your life, your hopes and secrets. Fill out all your personal information, hobbies, friends, favourite times, family, wishes for the future and much more! Fill out all your personal information, hobbies, friends, favourite times, family, wishes for the future and much more!.